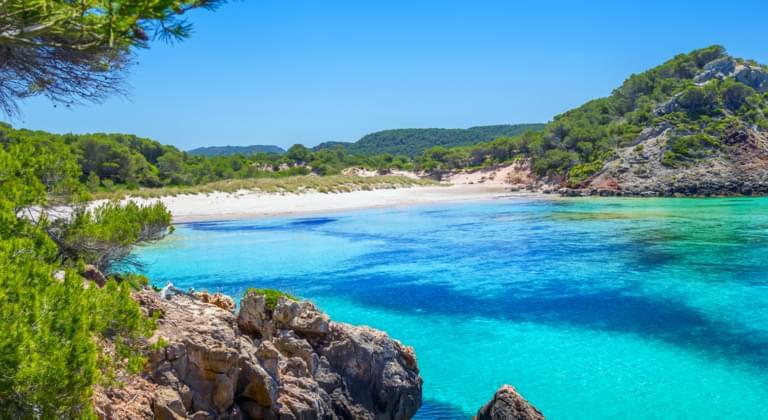 On the almost 700 km² large island Menorca in Spain, which belongs to the Balearic Islands, there is a lot to discover for travellers with a hireal car. 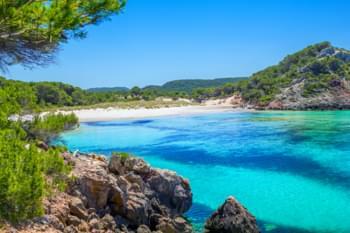 Menorca is more tranquil than its big sister Mallorca and convinces nature lovers as well as culture lovers, beach holidaymakers and water sports enthusiasts. Here everything is available - from beautiful beaches and bays, sights to popular hiking trails. Menorca with all its facets is best explored with a hireal car, because not only are you free to explore the beautiful island at your own pace, but you are also flexible in your travel planning. If you would like to explore Menorca and its surroundings with a hireal car, it is worth using the Driveboo price comparison beforehand. You will receive detailed information on car hire offers, insurance, availability and prices before departure. With the help of the search mask you can select your desired pick-up station for your hireal car in Menorca from several stations and display the best offers. Collection points are available at the locations in the table. It also shows you the distance from Menorca Airport (MAH). Menorca has a wide range of car hires and excursion tips to offer. Mahon, the capital in the eastern part of Menorca in Spain, as well as the closer surroundings have great sights and places to offer. They can be reached from all parts of Menorca with the hireed car favorably. The Mediterranean ambience around the natural harbour with cafés, restaurants and bars invites you to linger after a long day of varied excursions. The lighthouse Faro de Favaritx is one of the most famous sightseeings of Mahon. The way to the lighthouse is best taken on foot. The small footpath is worthwhile, as you will be rewarded with a captivating view over the Mediterranean Sea. The relief-like rock structure of the surrounding nature parks is reminiscent of an adventurous lunar landscape. The Cami de Cavalls is also recommendable. This is a path that Menorca lovers can follow around the island. It offers the interested hiker great sights and places to spend an unforgettable holiday. This trail also passes Mahon. Mahon has one of the most beautiful fortresses in Spain for travellers with a historical leaning towards ancient fortress architecture. The spacious fortress of La Mola, whose original name was Fortaleza Isabell II, captivates visitors with its mysterious underground corridors. Also the fish market of Mahon, where there are beside fish many other regional delicacies as well as useful and beautiful souvenirs, is worth a visit. 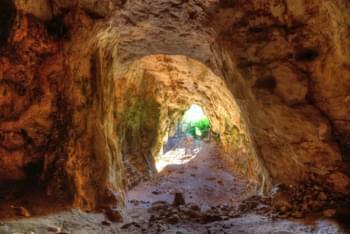 The impressive Cova des Coloms cave is an ideal destination for that can be reached easily by hireal car. It impresses with a height of 24 meters and is a definite must for every nature lover. The cave entrance has the shape of a ghost if you look at it from the inside. Perhaps the caves conceal some secrets that have to be revealed on holiday. The surroundings around Mahon on Menorca offer countless other impressive places to discover on a round trip by hireal car. 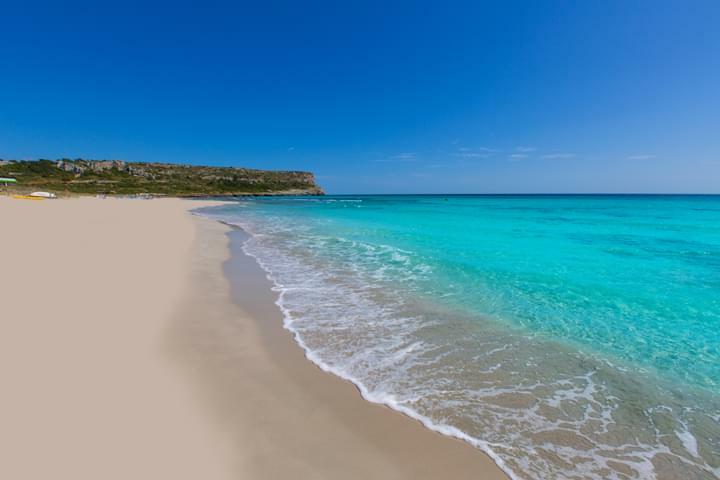 Which beaches should I not miss on Menorca?